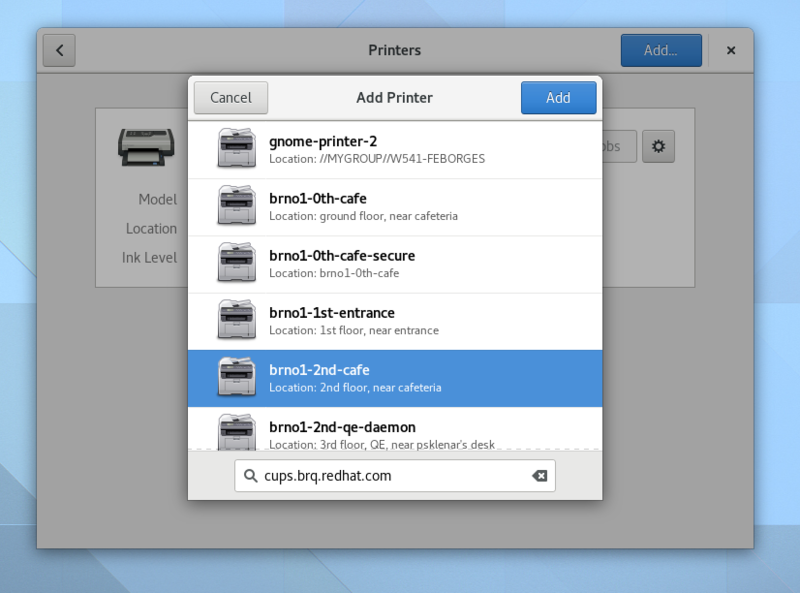 If you read my announcement post or you are already running GNOME 3.24, you probably already know that there is a new Printers panel in GNOME Control Center. The new design is part of a big effort to modernize the Settings user interface. After the 3.24 release we were able to gather more feedback from our users and, this way, cook up some improvements/enhancements to better suit their use-cases. 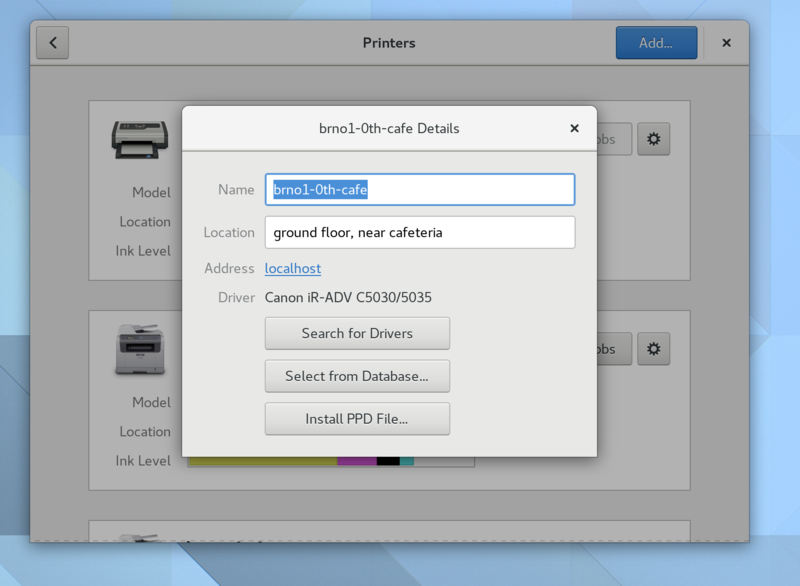 Another must-have feature that the printers panel never had and now is merged is the ability to undo a deletion of a printer. Some users found it irrelevant to show the ink level bar when there’s no ink information to show, in doing so, we decided to hide it entirely for these cases. In conclusion, it is worth mentioning that “Software is Never Done“. This is an evolving work which depends on various factors, including your feedback. Please, report bugs, suggest enhancements, and write patches, to make our desktop always better. I have always had a hard time avoiding distractions during working hours. My hyperactive brain wants to wander off distracted by any kind of noise around me. Lately I found out that having a background ambient sound such as rain, wind, fireplace, really constrains me from any distraction. 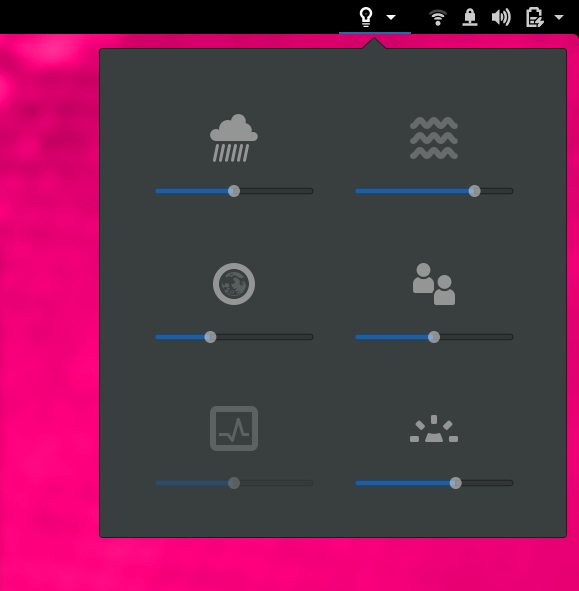 In doing so, inspired by Noisli.com, I created a GNOME Shell extension with similar functionality. It is quite simple but it does the job for me. The GNOME Control Center redesign goes on. This release we are happy to announce the new Users Panel design. As you can see in the preview video below, we are moving away from a two column panel into a single page concept. These changes make the panel way clearer specially with the new shell. 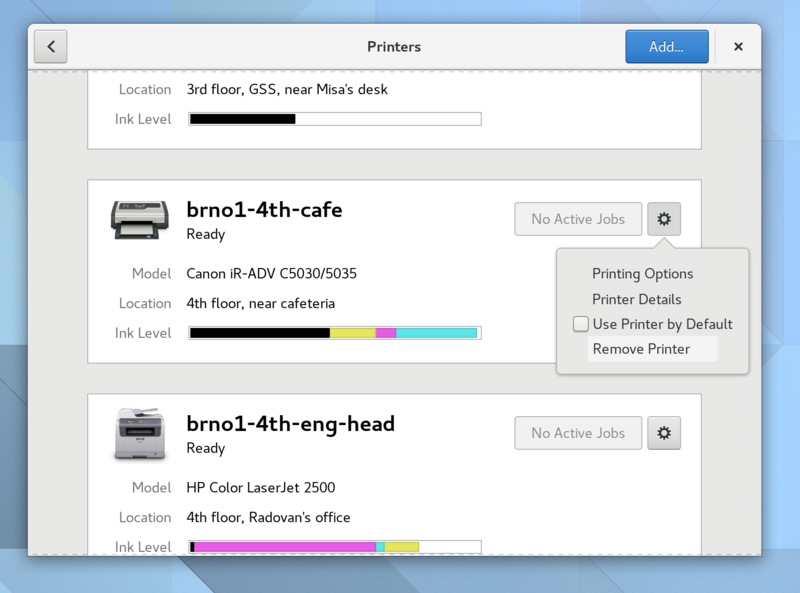 The Users panel now joins the Keyboard, Printers, and Mouse, as the new Settings experience. We plan to switch to the new Shell in the very next cycle. Stay tuned! I have just returned from our annual users and developers conference. 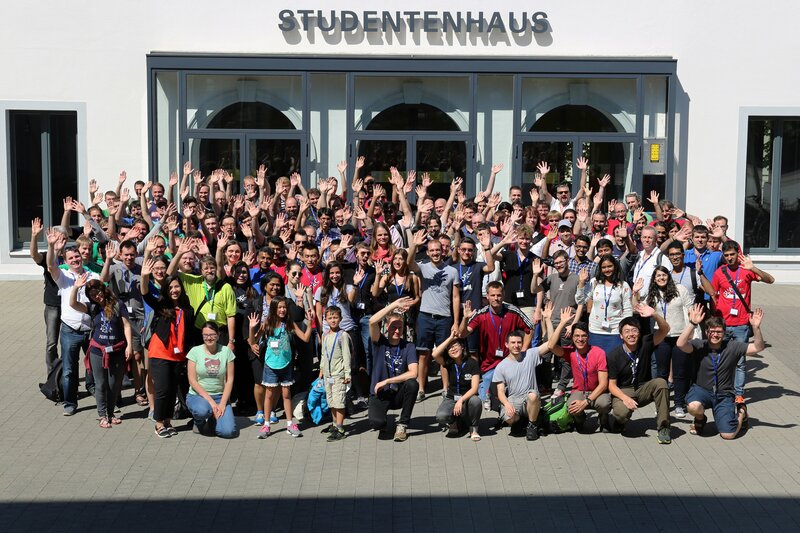 This years’ GUADEC has taken place in the lovely Karlsruhe, Germany. It once again was a fantastic opportunity to gather everyone who works pretty hard to make our desktop and platform the best out there. Luckily I was able to attend the three core days of the conference and stay three more days for the Hackfests/BoFs. Speaking of that, I had a talk on GNOME Music which you can find online as a courtesy of the Chaos Computer Club Video Operation Center. It was also a blast to be able to speak to Outreachy/GSoC interns, discuss diversity, and get up-to-date on what others have been hacking on lately. The local organizers and the volunteers made it sure that everything went by smoothly. I would like to thank my employer Red Hat for enabling me to be once again present in the conference and for sponsoring my trip. See you all next year! Howdy! I am just passing by to say that I am attending GUADEC this year. 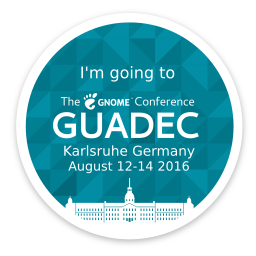 Our annual GNOME conference is taking place this year in Karlsruhe, Germany. 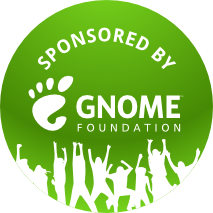 I am going to be there from the beginning until the 17th of August speaking about GNOME Music in one of the core days, and later joining other contributors in our BoF/hackfest. 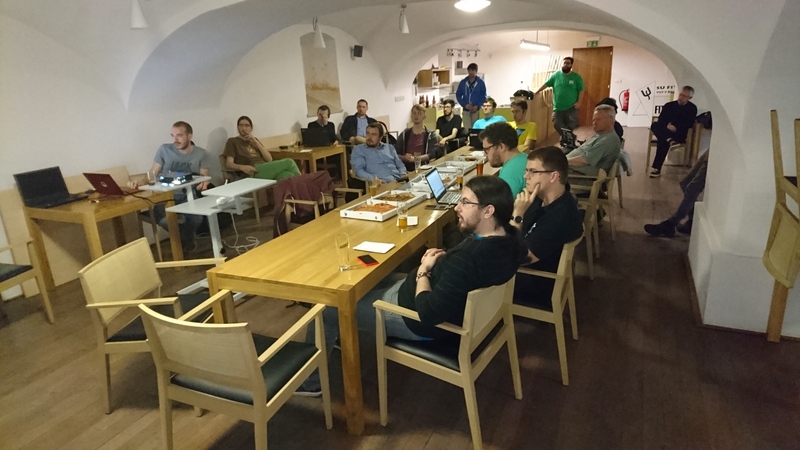 Last Thursday, the 5th of May, we had our first Linux Desktop Meetup in Brno. It was an exciting start, with informal talks from fellow members of our community. In this first edition, we had talks focused on IDE and development environments. The Linux Desktop meetups will be held in the first Thursdays of the month. Everyone is welcome to join and to propose talks! In the meetup website you can check out the details for the next editions of the event. 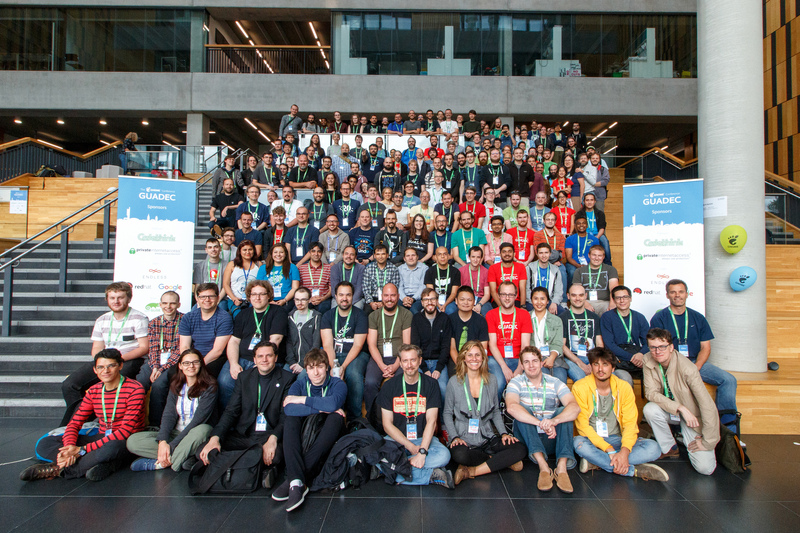 From December the 2nd to the 4th, a dozen of GNOME Hackers and LibreOffice Hackers joined forces in Medialab Prado, Madrid, to hack on our content apps. During these three days we had important discussions about the future of these apps. Topics such as: sharing resources between apps, planning how the Share of content is going to be done in the future, new designs and development plans for each app, and bugfixes. Our hackfests are always awesome opportunities for learning, sharing, and improving the projects we love side by side with our fellow GNOME Hackers. This was only possible with Medialab Prado letting us host the event in their space, my employee (Red Hat) allowing me to attend, and the GNOME Foundation for sponsoring my trip. Thank you all! 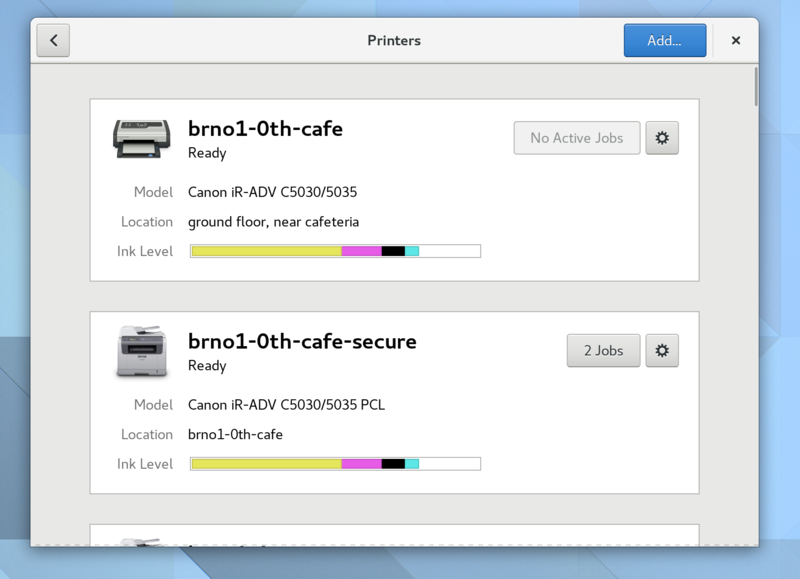 The Test Your Settings dialog is now presented within the control-center window. 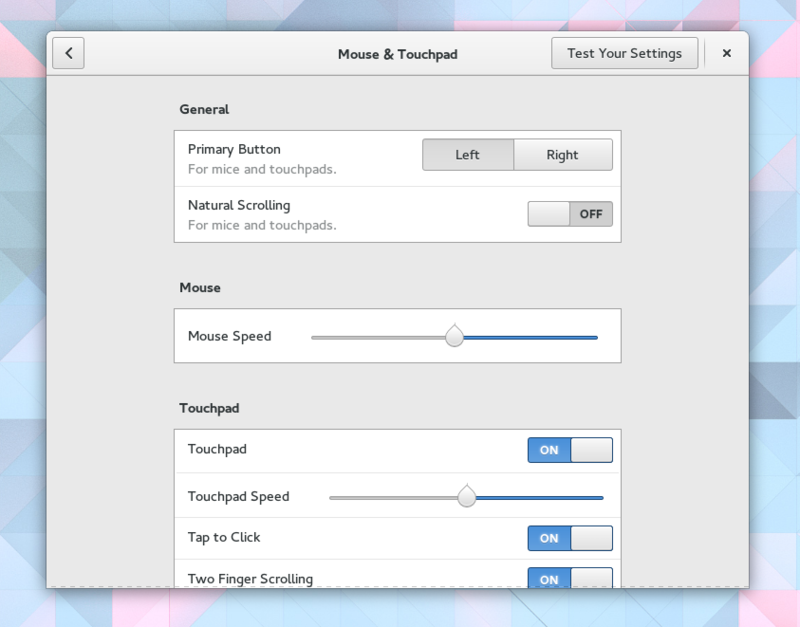 Some of you might miss the double-click delay setting that used to belong to the Mouse & Touchpad panel. Don’t worry, it is now part of the Universal Access panel. 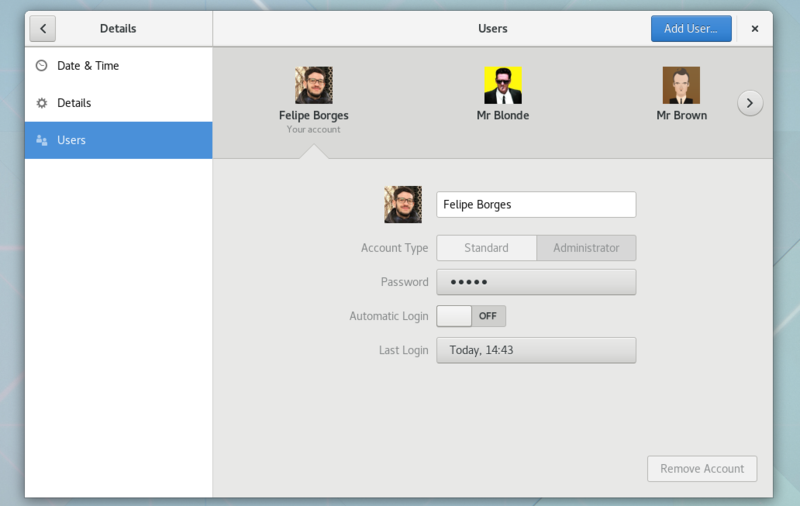 This changes are already on master and will be included in our next release, GNOME 3.20. After that I will be tackling the Keyboards panel. The goal is to have all panels ready for the new Control Center shell.